This is one of the best and reputable channels which offers live soccer streams as they happen.It streamlines worldwide matches starting from local to international leagues. SuperSport TV, also, gives playbacks of previous games as well as video highlights of the current matches.The requirement is to install the DSTV in your house and have compatible television. It covers a wide range of geographical regions. 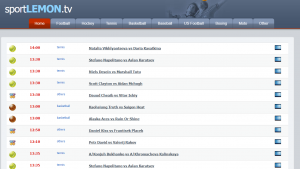 It offers all live streams for local and international games. The graphics and designs are of high quality. There are annual subscriptions incurred.